As summer is just around the corner you can picture the scene…you are just stepping out for a breath of fresh air, an alfresco drink or a lazy picnic in the sun, and before you know it you are joined by some uninvited guests. Wasps! The persistent buzz of wasps attempting to get at our food and drink is often enough to drive us back indoors. But are wasps the sinister stingers we believe them to be or do they actually have some redeeming features that we are simply unaware of? Well, the answer to that question depends on the type of wasp you are dealing with and how to identify them. 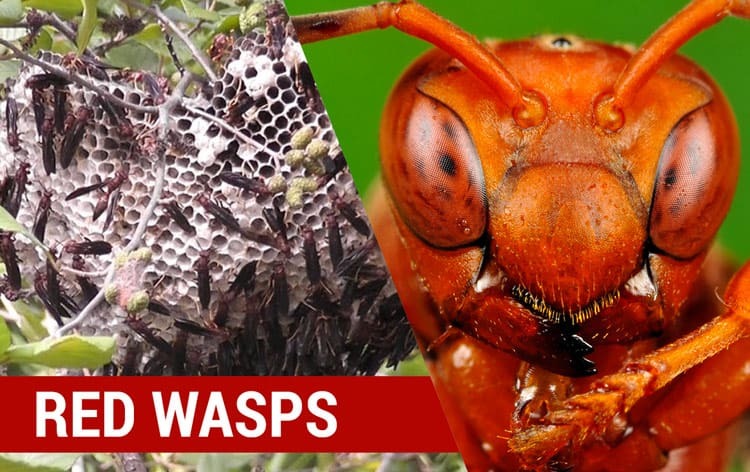 While you may consider wasps to be a nuisance, (and they can be if the decide to nest in your back yard), some are also important pollinators too and most are experts at getting rid of annoying pests that destroy our plants and foliage. 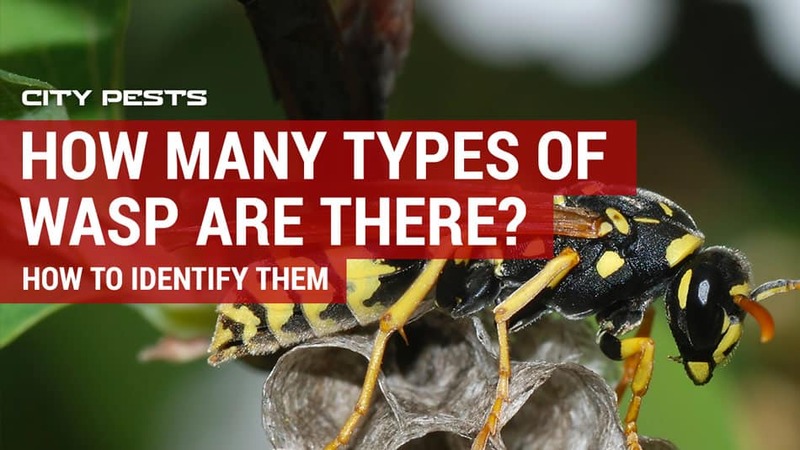 So, before you start batting away each wasp that wings its way towards you, let me explain some more about the different types of wasps and the benefits they can bring. There are tens of thousands of known species of wasps which fall within two primary subgroups – social wasps and solitary wasps. A social wasp lives as part of a colony. Each spring, a queen will emerge and due to the fact that she was fertilized the previous year, will start to build a brood of female workers. As the queen continues to lay eggs, the wasps create a nest near trees or shrubs. As the cold weather sets in the entire colony starts to deplete and die off, leaving only the newly fertilized queens to survive the winter. Social wasps are notoriously bad tempered. Being omnivores and not just pollinators, they find human foods attractive – especially sugary ones – and don’t take likely to being chased away. 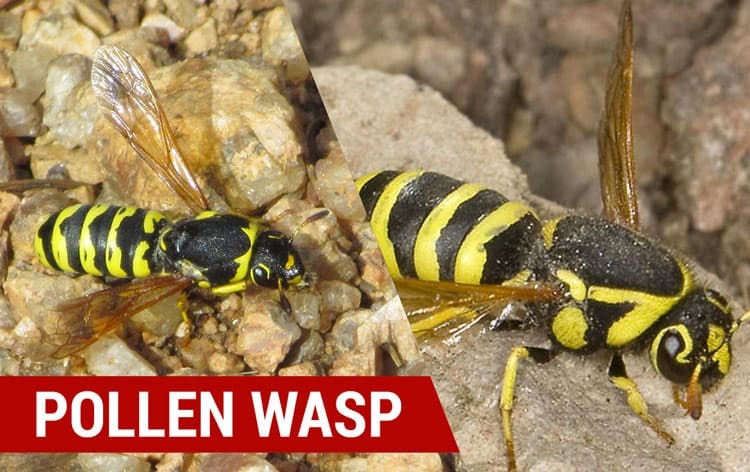 Therefore, it is best to be cautious around these types of wasps if you don’t want to get stung! The vast majority of wasp species are solitary insects, so prefer to fly out alone. Having mated, the female wasp will forage for food on her own in order to care for her offspring. Tending to nest in burrows in the ground, against twigs of trees or along the sides of walls, solitary wasps rely on their venom to hunt. 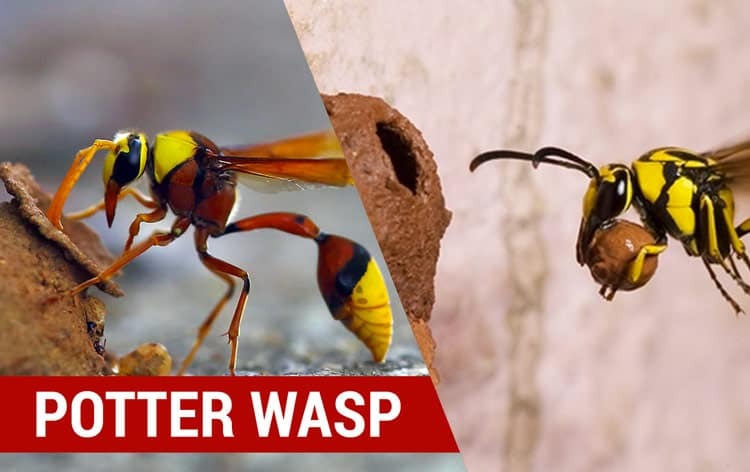 Solitary wasps are not aggressive towards humans and in fact, most pay little attention to us, although like any animal, if provoked they may attack. Appearance: Yellow jackets are social wasps and often get mistaken for bees, due to their well-defined markings. However, yellow jackets are smaller, brighter and quicker than bees, and can be identified thanks to their distinct style of flying, where upon landing they rapidly move from side-side. 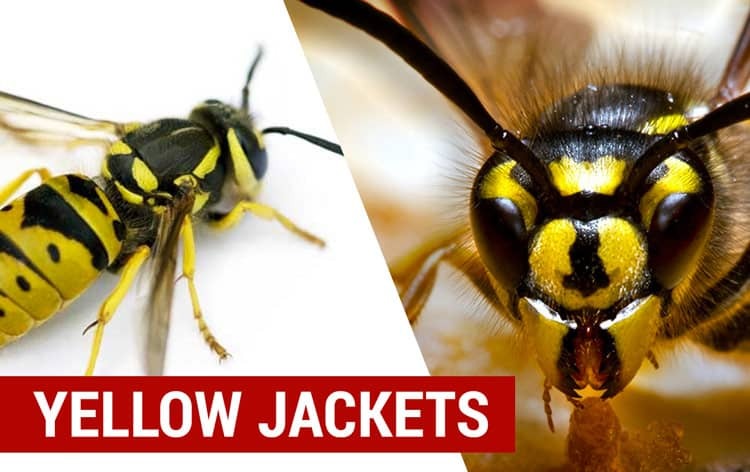 In America there are 16 known species, but it’s the German yellow jacket that is taking over our streets and cities. And, unlike the Eastern yellow jacket, they like to nest in cavities, often above ground. Behavior: Scavengers by nature you will often find them beside your BBQ, bombarding bins and pouncing on your picnics. 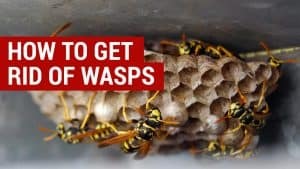 But resist the urge to wave the wasps away as the females can be highly aggressive and carry a sharp sting in their tails which they are not afraid to use again and again. There is no point killing a single yellow jacket and hoping for the best, as where there is one lurking, there will be loads more. Benefits: It is hard to find any redeeming features for a yellow jacket wasp, as they do not pollinate and mostly feed on dead bugs. That said, we do need our little deceased critters carried away, so for that we can be grateful. If you do need to remove a yellow jacket wasp nest, it is best to tackle these prickly foes at night when they tend to be a lot less active. Appearance: Paper wasps are also social wasps that prefer to live in a more intimate colony of between 5-25 wasps in total. Growing up to one and a half inches long, they tend to be brownish in color with either yellow and black or rusty brown stripes. Their name derives from the paper-like material they use to make their nests, which are built umbrella shaped and can be found dangling under eaves, porches or door frames or hanging in attics and trees. These wasps are commonly found in North and Central America. Behavior: Paper wasps do sting, and it really hurts(!) but generally only if they feel that their colony is under attack. Therefore, if you do find a paper wasp nest and it is not bothering you, then you should steer well clear. If, however, it is situated around your home, due to their aggressive nature when threatened or confronted, I would suggest taking measures to have it removed. Benefit: Paper wasps feed on nectar and insects, which technically make them a beneficial insect as they do an important job of keeping bugs in check. Appearance: A red wasp is a type of paper wasp and is therefore incredibly social. So much so, that they have been known to construct some of the largest nests of any species. Generally, they buzz their little red colored bodies and flutter their dark purple wings around our backyards where there are plenty of trees and flowers. Here they build their nests in exposed locations such as outbuildings and feed on the insects that live in the yard. Red wasps are found in Eastern America, from Texas to Nebraska. Behavior: Red wasps may be territorial once a nest has been built, yet each year the female wasps fly away post mating, to seek out a new abode for the following spring. Although the like to dine out on caterpillars, flies, ants, spiders and sometimes other wasps, they like to follow it up with desert and have a very sweet tooth. Therefore, it would not be uncommon to spot one feasting on your leftovers or checking out your picnic cakes. Considered more of a nuisance than a dangerous pest, these wasps only attack in order to defend. Benefit: Red wasps will use venom in order to protect their territory, so if you are attempting to remove a nest, you should take thorough precautions. Appearance: One of the largest species of wasps, the cicada killing wasp (due to their size and appearance), can look pretty scary. This solitary wasp’s head and middle segments are a rust color while the back segment is striped black and yellow, so they are often confused with yellow jackets. But, as their name suggests, they are not a threat to humans but have a particular fetish for killing cicadas. These wasps prefer to dig their nest underground as opposed to outdoors. Behavior: These ground-burrowing wasps can be found in well-drained, sandy soils and in bare or grass-covered banks, often found near sidewalks, driveways and patios. Females may share a burrow but will have little interaction, choosing instead to dig their own nest cells off the main tunnel. 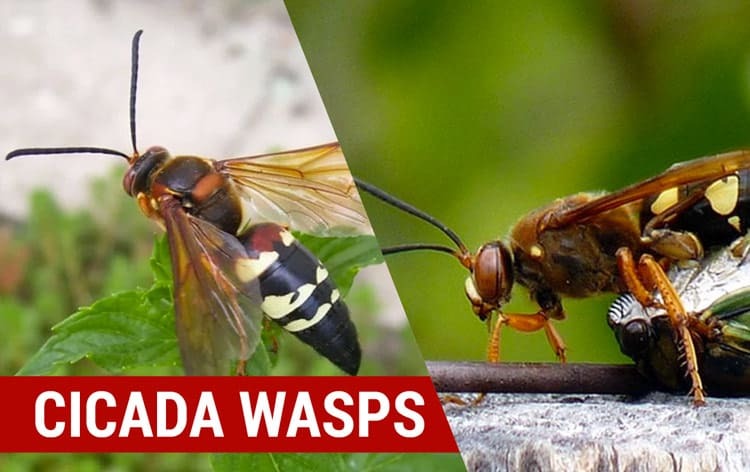 Although cicada killing wasps are not considered too much of a nuisance, if you step or squeeze one accidentally or harass a female, it might sting you. Males, however, may act aggressive but do not carry any sting at all. 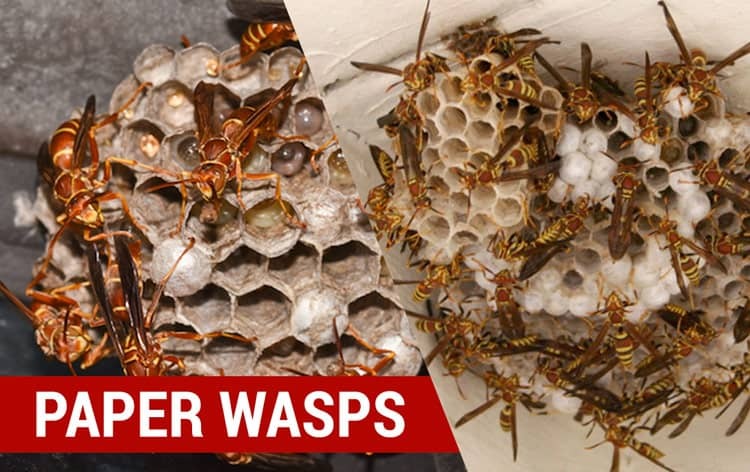 Female cicada killer wasps can, however, cause a lot of damage to your property by digging tunnels around your house. Benefit: Cicada killer wasps exert a measure of natural control on the cicada population, which in turn directly benefits the deciduous trees upon which the cicada’s feed. There are three main types of mud wasps (1) mud daubers (2) potter wasps and (3) pollen wasps, each getting their name from their clay and mud nest constructions. Although they mainly choose to nest underground, these solitary wasps have been known to also build nests above ground. Appearance: The mud dauber wasp gets its name from the materials in which it makes its nest. Found throughout the United States, this wasp can vary in appearance. Usually black and around half an inch long, they have pale markings, dark or clear wings and a skinny thread-like waist. Behavior: Solitary wasps, mud daubers build small tube-like nests which they attach under porches, eaves, attics and walls. If you find a nest and the holes are open, then it is likely that the wasp has already left. If found plugged and closed, then be careful as this nest is likely to have a wasp within it. These wasps rarely sting as they are not territorial and will not put up a fight in order to defend their home. Therefore, it is not unusual to find other types of insects infiltrating the nest. 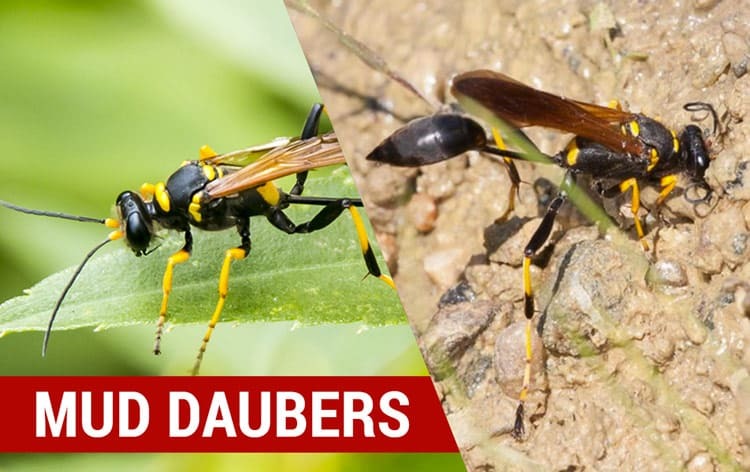 Benefit: Mud daubers typically prey on spiders especially the black widow spider, so are actually beneficial as they help to control the creepy crawly population. Appearance: Small in stature, this wasp gets its name from the pottery like shape of it nest, typically located high up around properties and outbuildings. 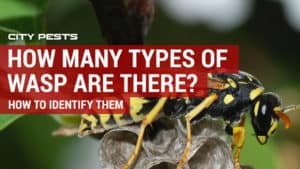 With over 270 species of potter wasps in America alone, it is not uncommon to see these buzzing around your backyard. Easy to spot, there are black with white, yellow, orange or red markings. Behavior: Potter wasps are highly creative when it comes to making nests, primarily using mud but including a host of natural materials such as twigs and dried leaves in order to divide chambers. These wasps are capable of stinging, but rarely do so unless provoked. Even so, if you are looking to exhume a potter wasp nest, caution should be taken as like any sting, it can be painful. Benefit: Potter wasps are important in the ecological cycle, as they are partial to the odd insect, especially caterpillars. They also feed on flower nectar and use this to nourish their young. Appearance: These wasps are more closely related to bees, as the feed on pollen and nectar. Mainly found in North and South America, there is a known species also found in California, that often gest mistaken for a yellow jacket due to its small size. However, these types of pollen wasps can be identified due to their clubbed antennas. Behavior: These wasps are unique in that they feed on pollen and nectar and build their nests underground or behind rocks and crevasses, where they use the fluid collected to continue to make and partition cells. Like most solitary wasps, you should avoid encountering them if you can, as they tend to be aggressive if disturbed. Benefits: Pollen wasps are often confused with bees, as they can be seen hovering around flowers. However, unlike bees, these wasps have the ability to carry pollen within baskets that are situated on their hind legs. These wasps do not pollinate, they simply carry it away to create their nests. Those who enjoy tending to their flowers and shrubs have aggrievances with pollen wasps as the are incredibly destructive, destroying flowers and ripping apart ripening fruits. Appearance: As its name infers, the great black wasp is large in stature and dark in coloring. Choosing to reside underground, they construct small nests where they care for their young. Behavior: These insects gather food, mostly grasshoppers, locusts, cicadas and other large, meaty insects that they feed to their offspring. Their primary food source, however, is nectar which they collect from surrounding flowers. For this reason, they like to be located close to meadows, pastures and residential backyards, where plentiful plants and flowers can be found. 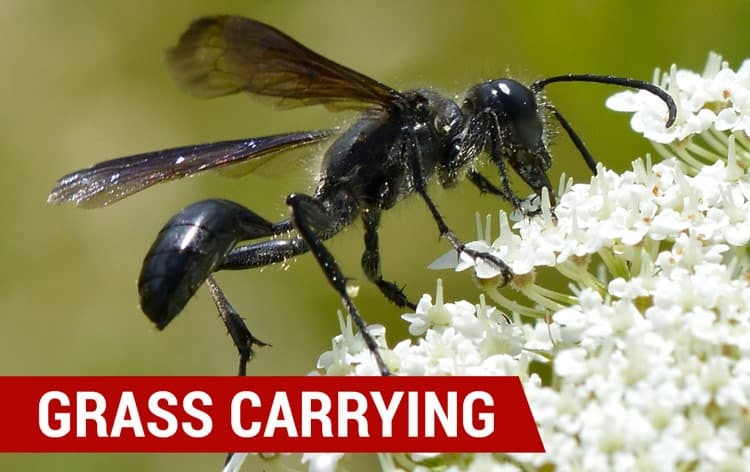 Although its name makes this wasp sound intimidating, it is born from its size and not from its nature and it isn’t regarded as an aggressive insect. 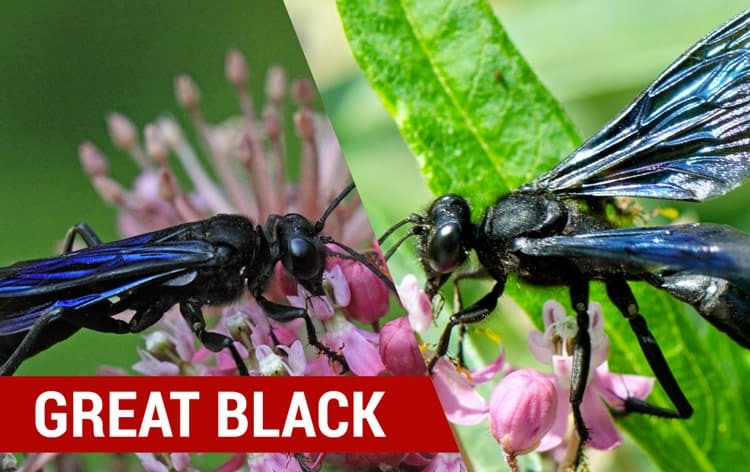 Benefits: The iridescent great black wasp pollinates flowers while feeding itself and removes plant pests to feed to its young, making it a great friend to gardens and fields. Therefore, there should be no need to want to remove this wasp from your area. Appearance: Grass-carrying wasps are native to North America and belong to the family of thread-waisted wasps. Medium-size, with a black head and body, you may notice a blue shimmering sheen on their wings as they fly. Behavior: Unlike most wasps, the grass-carrying species chooses to make its nest in pre-existing activities above ground, such as a hollow plant stems and even window frames. They use the grass the collect as a cocoon for their eggs. Like other solitary wasps, grass-carrying wasps aren’t aggressive and don’t bother about defending their nests. Benefits: These wasps can be good for the garden, as long as they choose not to nest right on your property, as most of their adult life is spent pollinating flowers and sipping sweet nectar. Appearance: It may come as a surprise to some to hear that a hornet is a subset of the wasp family. Classified as a social wasp, they can live in nests of up to 700! Rounder and fatter than a wasp, you can generally tell them apart as a hornet has hardly any black on its body and mainly brown, red and yellowy-orange markings. Behavior: A hornet’s nest is normally discovered high up in the trees, under roofs and against walls and within hollows. Easy to identify, they look like giant footballs and are made from paper-like material. Like most wasps, hornets have the ability to sting several times, but are considered less aggressive than most social wasps. This is because they do not need to feed on sweet things and so choose not to venture too close to human activity. 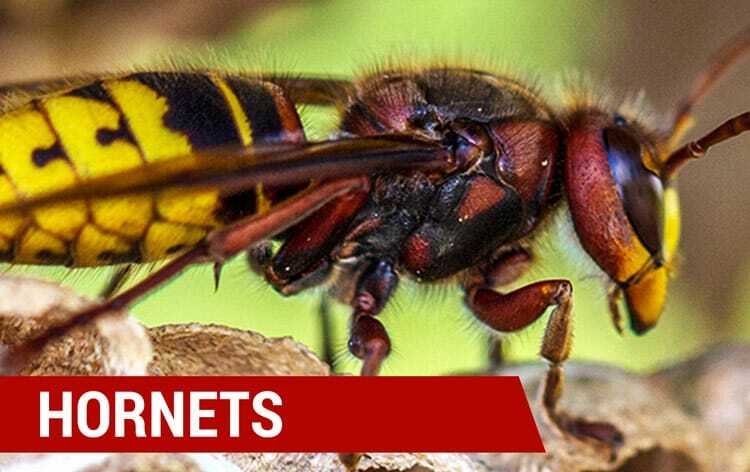 But don’t be complacent, because if a hornet does sting it will be much more painful that your typical wasp due to the chemicals found in hornet venom. Benefits: Hornets hunt insects such as spiders, caterpillars, flies and beetles and without them, we would be overrun by bugs! As the weather heats up, we await the invasion of wasps. But should we fear them quite so much, or are they just misunderstood? There is no denying their ecological benefits and whilst we struggle to love them like honeybees and butterflies, a world without wasps would be a world with a much larger population of insect pests, destroying our crops and gardens. Therefore, if we can try and live in harmony with these wicked wasps, we can let them serve their useful purpose. 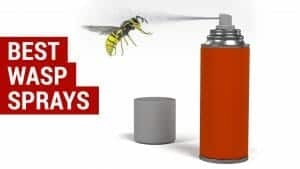 If, however, they start to become more than an irritating nuisance and cause chaos around your home, there are a number of natural and chemical solutions for getting rid of wasps and wasp nests.